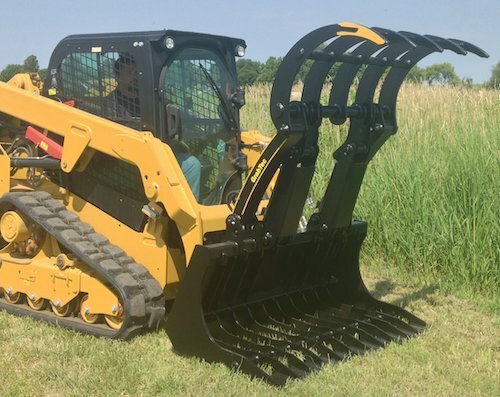 Check out the latest skid steers, wheel loaders and attachments from some of the industry’s leading suppliers. The SATG (Sweep Action Tine Grapple) features a patent-pending grapple design that sweeps debris into the bucket. Material is moved into and retained in the bucket when the cylinder overcomes the spring pressure, causing the front rake to rotate toward the bucket in a sweeping motion. Available in 72-, 78- and 84-inch models. 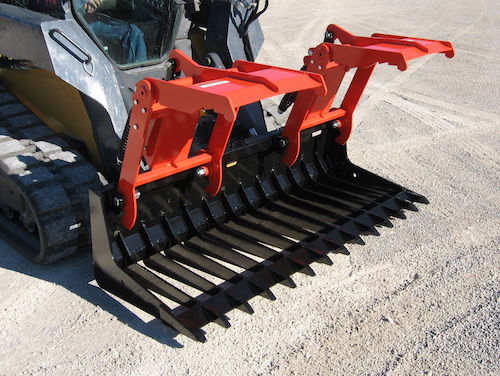 The SATG offers an open tine bottom with its sweep-in grapples, making it ideal for handling site demolition debris, rocks, brush, wood and metal. The sweeping action allows operators to pick up small materials without leaving the cab. High efficiency with minimal down time is required in today’s workplace environments. When it comes to moving material, a high-capacity loader minimizes the number of trips required, making you more efficient. This means being able to grab, hold and move more in the least amount of time. At GrabTec™, our products are designed to help you grab more with our “Reach and Pull” and “iClaw” technology. Looking for a light material, high capacity grapple? Check out our Model GS. If you have a heavy-duty, high capacity, demolition and scrap application, then look to our industrial grade Model GDX. GrabTec™ products maximize the capabilities of your existing machine, allowing you to handle more material with each load, reducing the total number of loads. Do more in less time. Designed to grab the maximum amount of volume whether it be silage, trees, brush, bales, hay or any other odd sized load. 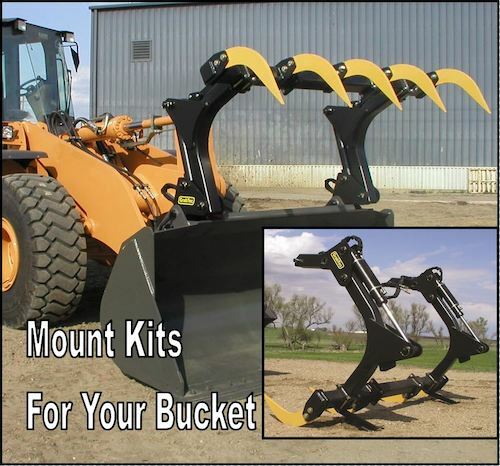 We make a grapple to fit your existing bucket or pair it with one of our high strength, high capacity buckets.